LBFA-SWx series LuxBar Power Switches: 30 CM Length. 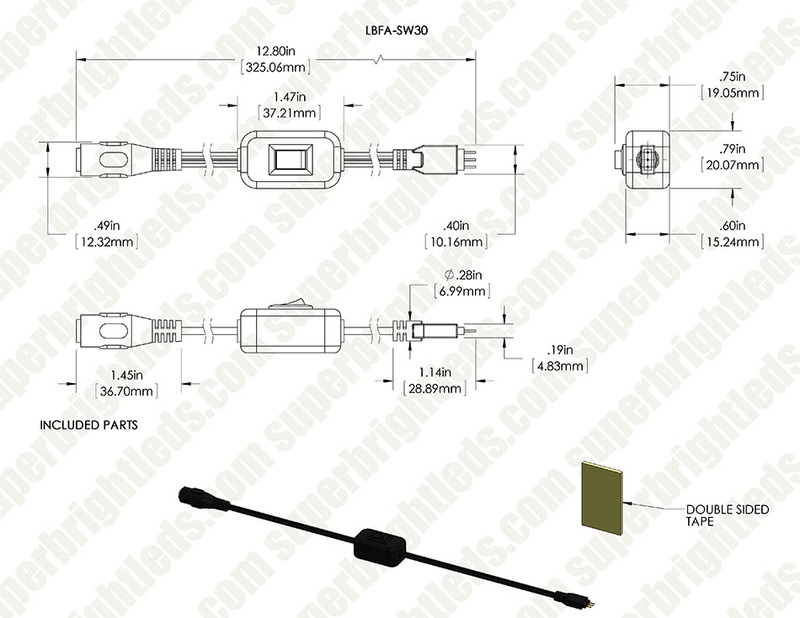 LBFA-SWx series LuxBar Power Switches: 183 CM Length. 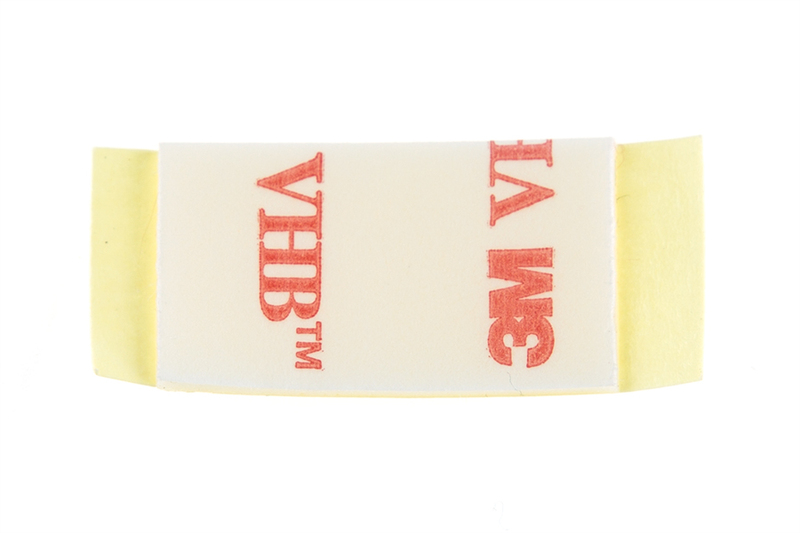 LBFA-SWx series LuxBar Power Switches: Included Mounting Foam Tape. LBFA-SWx series LuxBar Power Switches: Shown Connected To LuxBar. 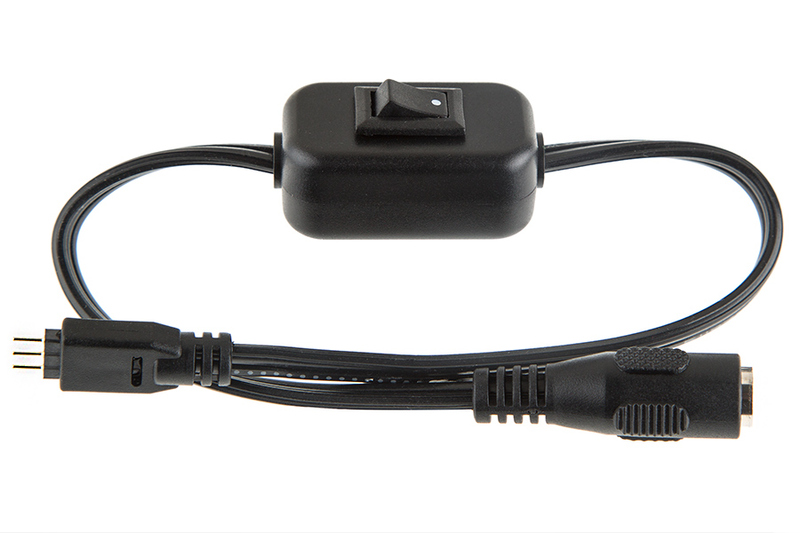 LBFA-SWx On/Off switch connector. 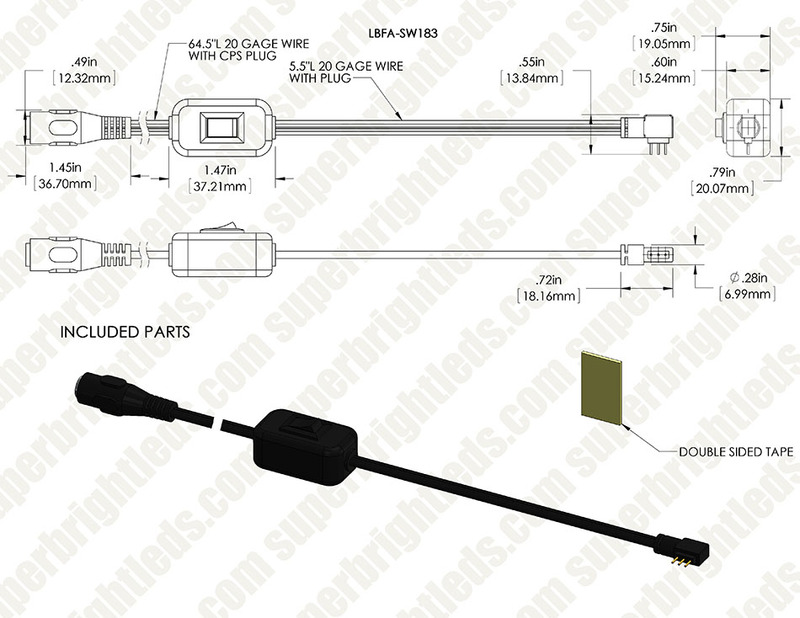 Provides switched power to LuxBar light fixtures using 5.5mm barrel plug found on all CPS power supplies. Available in 11.8in (30cm) or 72in (183cm) length. 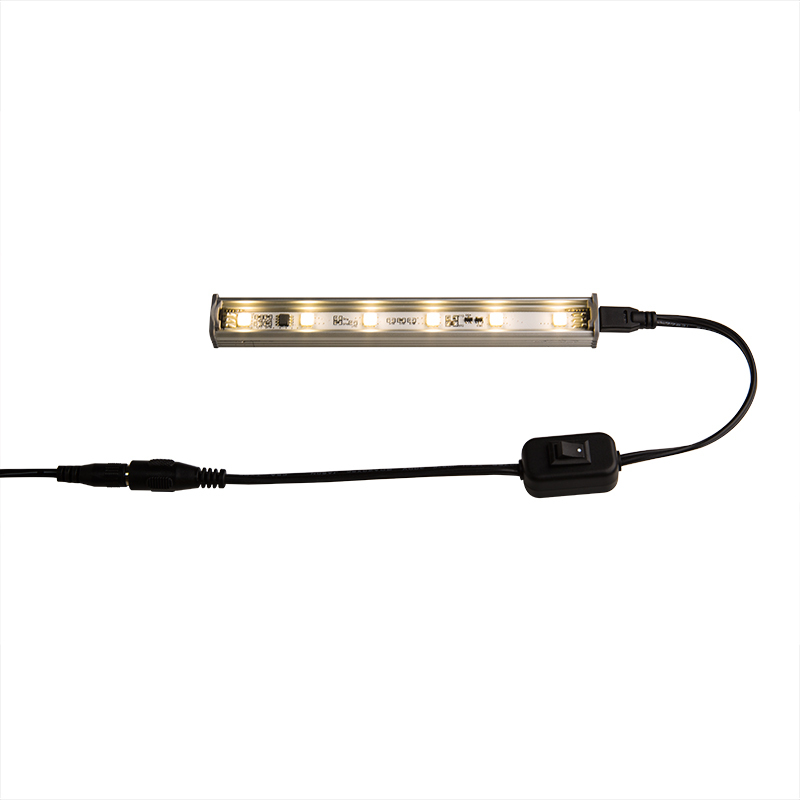 We offer a range of LuxBar specific mounting and wiring options to meet a large range of needs. 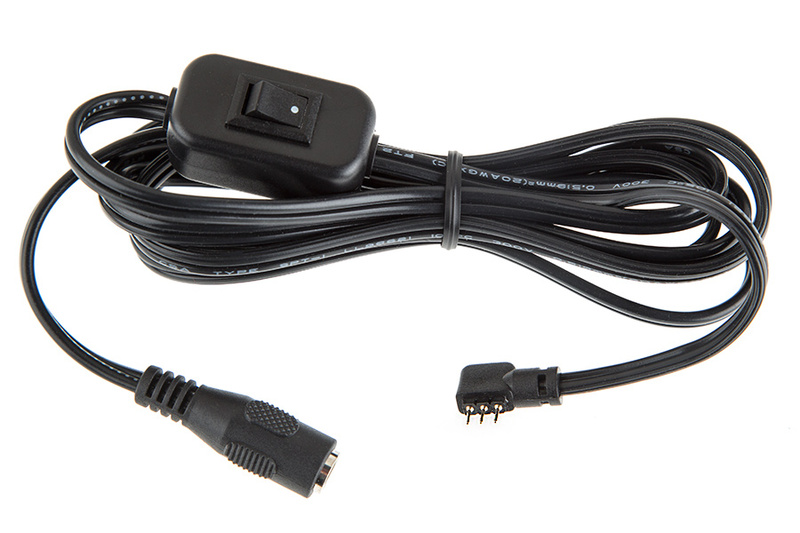 This flexible system of mountings clips, cables, and connectors will allow you all the flexibility you need to get the most from your Linear Light Bar Fixture. Switch works good but can not understand why the connection to the lights do not have the same locking system on it. Pulls out to easy since it dose not lock together. Very poorly designed pin connector. Pins are extremely small and tend to break off in the strip connector. Plus there's nothing to hold the connector together. Falls apart easily. Would not recommend buying this item because of the pin design. This doesn't have the plastic locking system like the power connectors. I had to buy one of those and splice a switch into it.